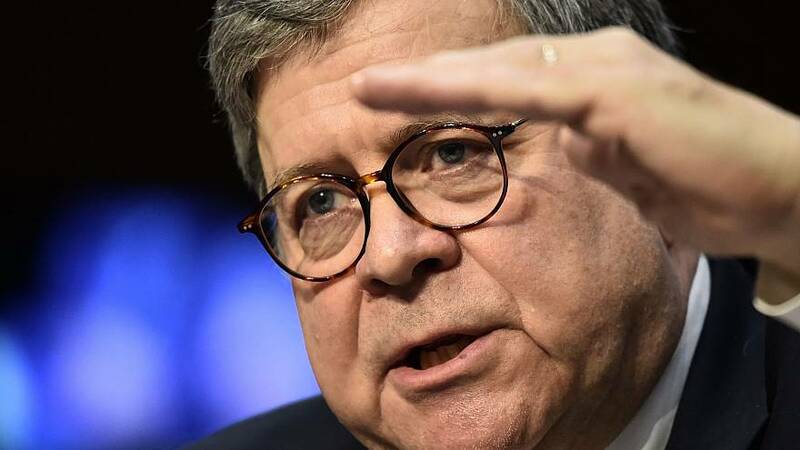 WASHINGTON — Attorney General William Barr, slated to testify before a House panel Tuesday morning, was expected to face questions regarding special counsel Robert Mueller's report of his team's investigation into Russian interference in the 2016 election. Barr's appearance before the House Appropriations subcommittee which oversees funding for the Commerce and Justice Departments and science agencies marks the first time he'll testify publicly before Congress since he released a four-page summary of Mueller's report last month. While Barr's opening statement, released ahead of his appearance, was focused on the 2020 budget request for his department, lawmakers on the Democratic-controlled committee planned to press him on the Mueller report. Subcommittee chairman Rep. José Serrano, D-N.Y., in an advance copy of his own opening statement, referred to a New York Times report from last week that said the special counsel's office had already created summary documents that Serrano said "were ignored in your letter." He added that, per the reporting, some investigators on the team "felt that your summary understates the level of malfeasance by the President and several of his campaign and White House advisors." "The American people have been left with many unanswered questions; serious concerns about the process by which you formulated your letter; and uncertainty about when we can expect to see the full report," Serrano planned to say. Rep. Nita Lowey, D-N.Y., chairwoman of the full Appropriations Committee, planned to say in her opening statement that Barr's handling of the Mueller report "unacceptable," adding that the speed of Barr's summary of the lengthy document was "more suspicious than impressive." "I'm going to say we'd like the facts," she told reporters of her expected approach ahead of Barr's appearance. "How can you publish four pages from a 400-page report and not provide to the Congress of the United States the entire report? We expect to get answers and I expect that the attorney general will answer our question directly." Democrats have been demanding that Barr release the full Mueller report, which spans nearly 400 pages. Barr, however, said in a letter to House Judiciary Committee Chairman Jerry Nadler, D-N.Y., and Senate Judiciary Committee Chairman Lindsey Graham, R-S.C., that he planned to release the report to Congress "in mid-April, if not sooner," but also said that there would be redactions. Barr's nine-page opening statement makes no mention of the Mueller report and only focuses on funding requested through President Donald Trump's budget for the next fiscal year. Meanwhile, the top Republican on the Judiciary Committee, Rep. Doug Collins, R-Ga., called Monday for Mueller to testify before that panel about the report. Nadler echoed the sentiment, but said that they must first receive the report and hear from Barr himself. "In order to ask Special Counsel Mueller the right questions, the Committee must receive the Special Counsel's full report and hear from Attorney General Barr about that report on May 2," Nadler tweeted. "We look forward to hearing from Mr. Mueller at the appropriate time."